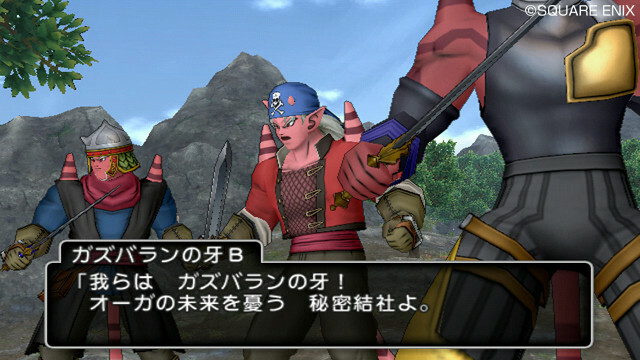 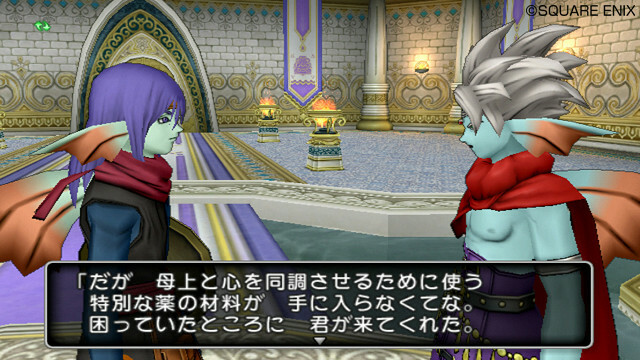 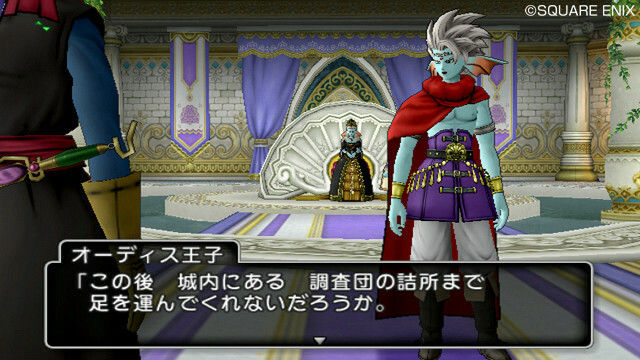 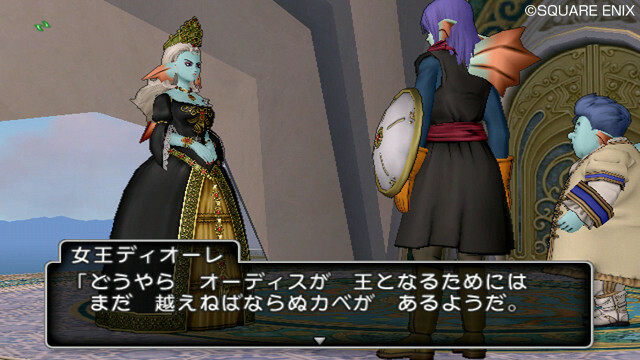 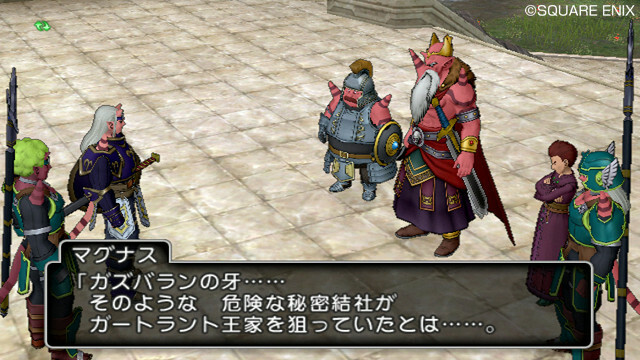 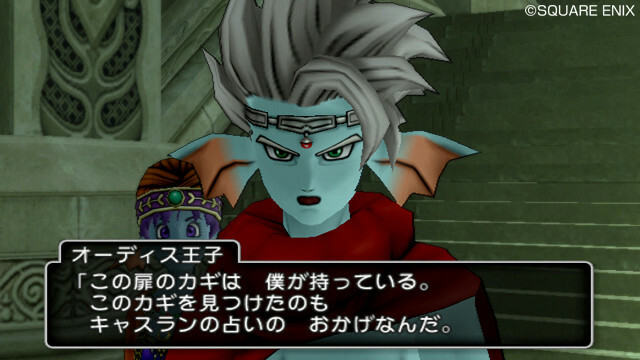 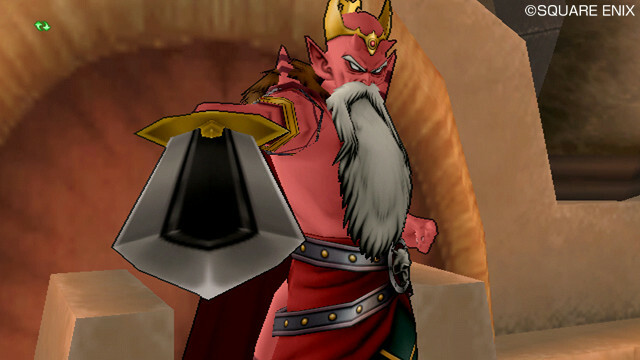 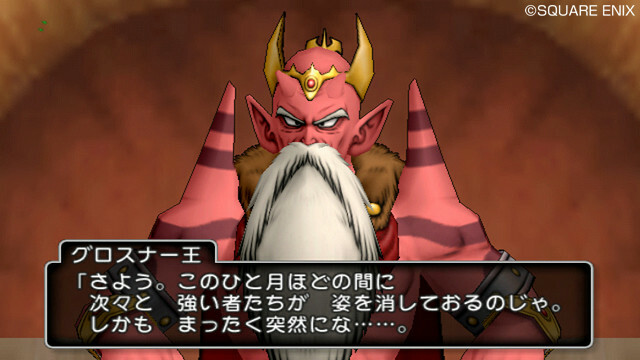 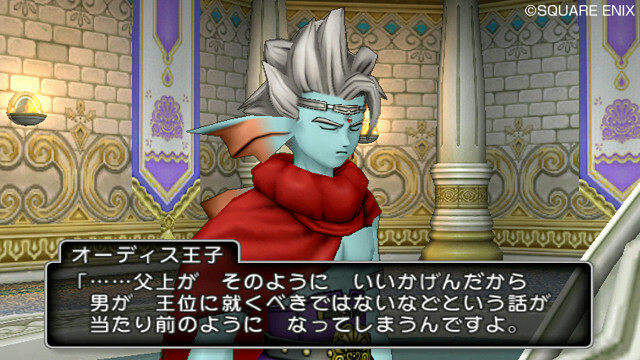 Dragon Quest X releases in Japan this Thursday, and some new screenshots have emerged showing some of the game’s story. 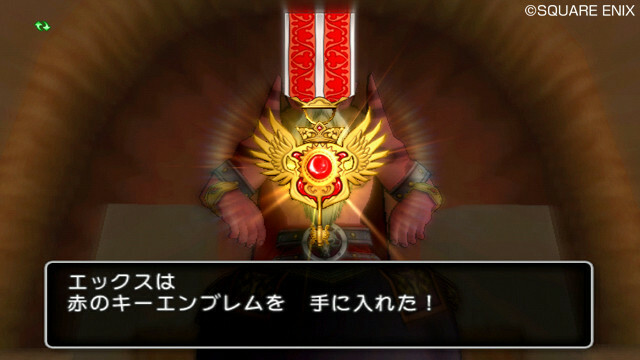 As mentioned a little while ago, a major component of Dragon Quest X’s storyline is finding the “Key Emblems” that are scattered throughout the land. 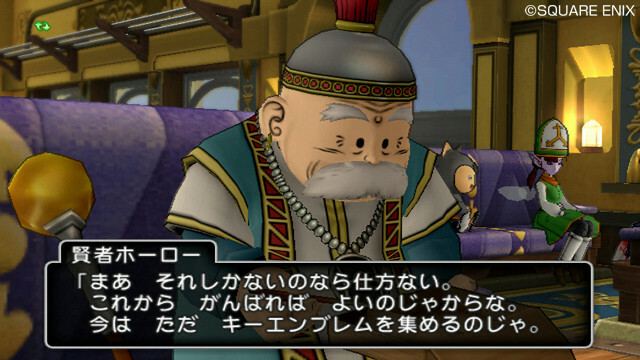 You’ll first learn about the Key Emblems from an elderly man known as Holo the Wise, who you’ll meet on a train. 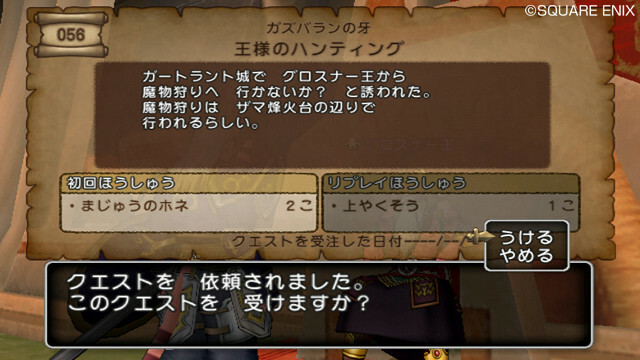 Collecting Key Emblems will unlock major story segments. 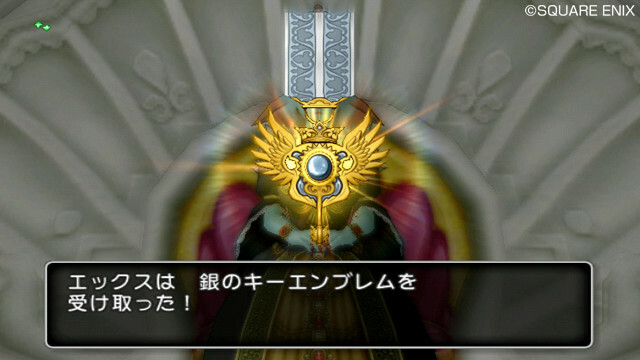 This is Holo the Wise who will tell you about the Key Emblems on a train. 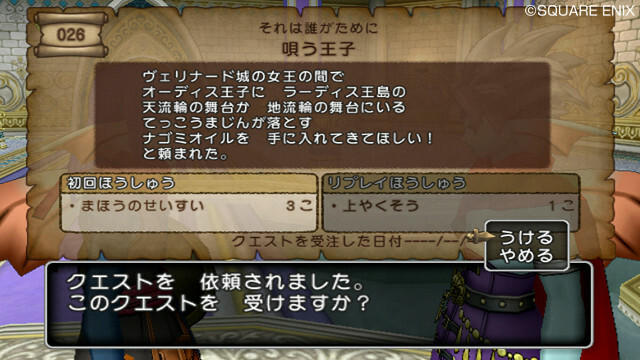 The screenshots are down below. 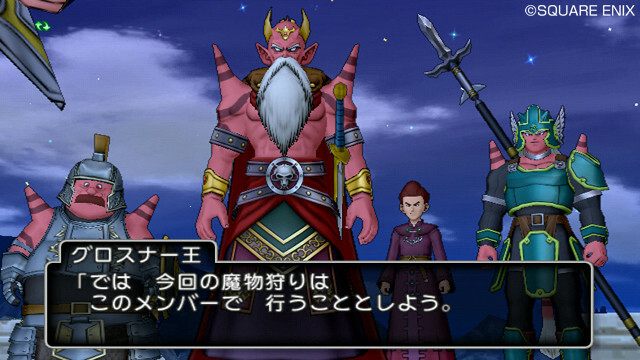 There is no word on a Western release of Dragon Quest X as of yet.